Stock # 137350, 3.6L, Automatic, 73703 mi. 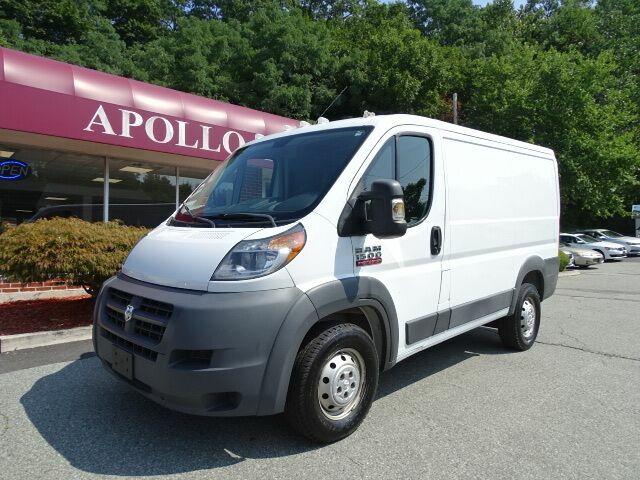 Remainder of Factory Warranty * Clean Carfax * One Owner * Backup Camera * Apollo Auto Sales is honored to present a wonderful example of pure vehicle design... this 2014 Ram ProMaster Cargo Van 1500 Low Roof only has 73,700mi on it and could potentially be the vehicle of your dreams! The best part about this well-maintained vehicle is that it is a CARFAX one-owner vehicle. This wonderfully maintained Ram ProMaster Cargo Van is in the top 10% of its class when it comes to cleanliness and condition. Unexpected repairs happen on all vehicles, but this Ram ProMaster Cargo Van comes with the protection of the manufacturer's warranty. You can finally stop searching... You've found the one you've been looking for. Apollo Auto Sales has been in Business Since 1972. We Specialize in Late Model-Low Mileage-Fully Serviced Vehicles. Apollo Auto Sales practices a Velocity Based Pricing Strategy which provides a Transparent Sales Process and Excellent Overall Customer Experience. Please Call Us to Check Availability and to Schedule your No Hassle-No Obligation Test Drive!! Call 401-728-8998 or Click: www.apolloautosales.com.